Deepak Trading Company was established in the year 1974. We are the leading Exporter, Manufacture & Supplier of Grey Granite Blocks, Square Stone Blocks & Indian Granite Quarry etc. We are engaged in offering a wide range of grey granite blocks that are suitable for both indoor as well as outdoor applications. 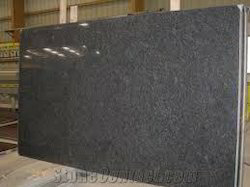 Aesthetically rich and highly durable, the granite is widely used in wall cladding, flooring, counter top and many more. We are among the most trusted companies involved in offering an extensive range of Square Stone Blocks. Our entire product range is scratch resistant in nature and have smooth surface, thus highly demand in market. It is known for its superior color and available in various sizes. Our range of granite is widely appreciated by our clients which are situated all round the nation. We offer our range at most affordable prices.